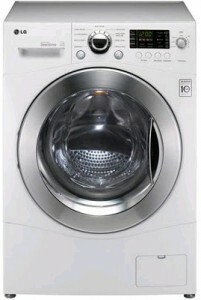 LG washer dryer combos have a really great name in this industry and this model represents it very well. As you can see, I actually ranked it #1 because it has the best features, reliability (according to users who shared their experiences all over the internet) and still not expensive. The features and technical details are exactly the same as with LG WM3477HS. The only difference is the color – the last letter W in the model name WM3477HW stands for white. This is the new version of my previously #1 ranked WM3455HW and it proved to be a reliable successor. All the details and features are the same and the difference is only in minor improvements upon user suggestions. 6Motion™ Technology – combines up to 6 different wash motions to provide a revolutionary cleaning experience. Dial-A-Cycle™ – allows to easily find the right setting every time. SenseClean™ System – sets the water level and wash time automatically, based on the weight and size of each load. Above-average capacity – 2.3 cu.ft. Anti-wrinkle system – prevents forming wrinkles. Sensor Dry – multiple sensors evaluate when to stop drying, based on how much moisture is present. This sensor is great for your clothing and energy efficiency. LoDecibel™ Quiet Operation – reduces noise and vibration. When the washer senses that the load in the drum becomes uneven, it relaxes the drum adequately to allow the load even out itself. 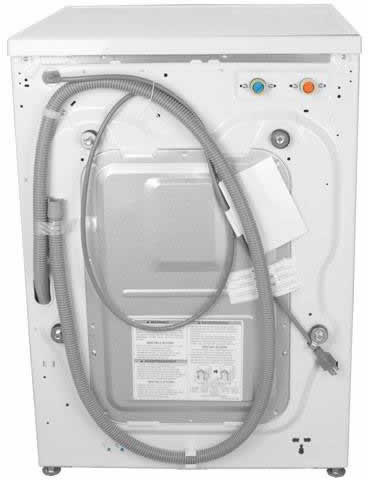 Ventless Condensing – you don’t need any external venting to dry your clothes. Child Lock – a safety feature so that you children cannot open it. Delay Wash – you can easily preset start time of the program you want to run within the range of 19 hours. Stain Cycle – perfect for bad stains. Water Plus – will add approximately 2 – 4 extra gallons of water to the current selected wash cycle. Not at once, but evenly throughout the whole cycle. Drum Light – you can activate it by pressing and holding the rinse+spin button for 3 sec. It turns of automatically in 4 minutes. 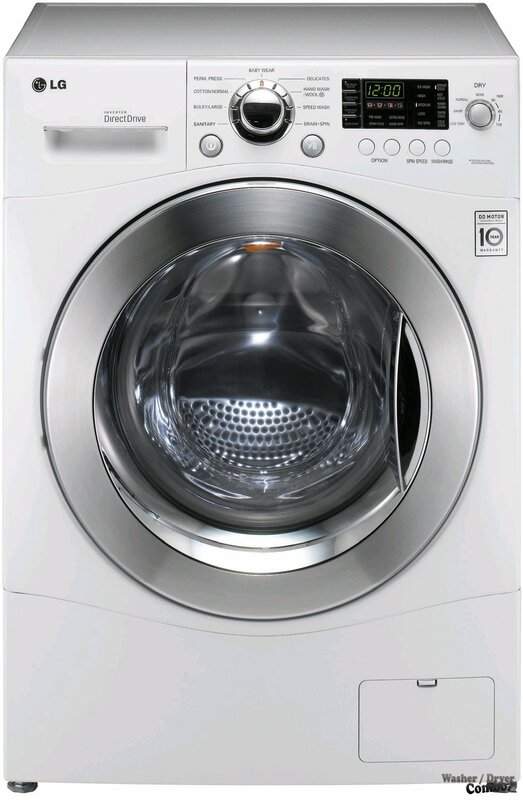 The light also activates at the end of the wash cycle for 4 minutes and turns off automatically. Tub Clean – removes any detergent buildup or residue from the washer drum. SpinSense™ – can reduce the noise and vibrations even more. Ratings Electrical Requirements: Runs on standard voltage electricity (UL Listed /120V, 60Hz, 10Amps) – uses the standard 115-120 volt, 15-20 amp wiring. The video is for this model, only that it’s in a silver color instead of white. Well-designed unit with a stylish and luxury look. 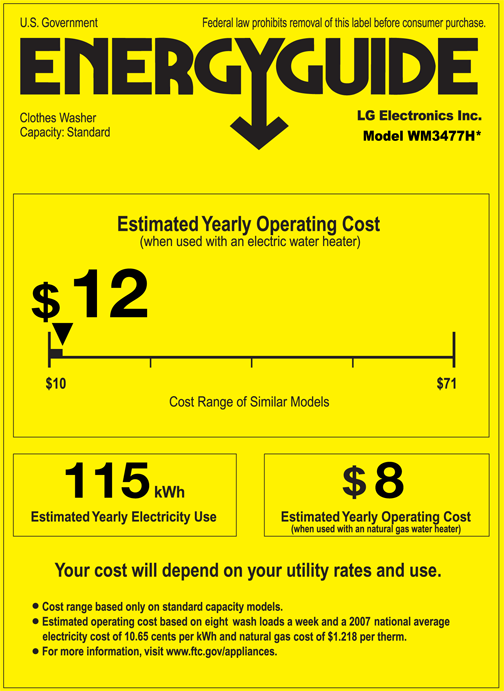 Great performance, features and energy efficiency – saves money on your electric bill. It’s very quiet. Should be mounted on a solid flat floor or vibration isolation pads to solve any vibration issues. Excellent capacity for the overall size of the machine. Just to compare, it washes the same amount of clothes as the typical smaller commercial machine you find at a New York City laundromat. Below is a link to buy the successor this series, as WM3477HW has been depreciated. Conclusion: This model is a little bit smaller than the huge LG WM3997HW, but provides the same performance and efficiency. 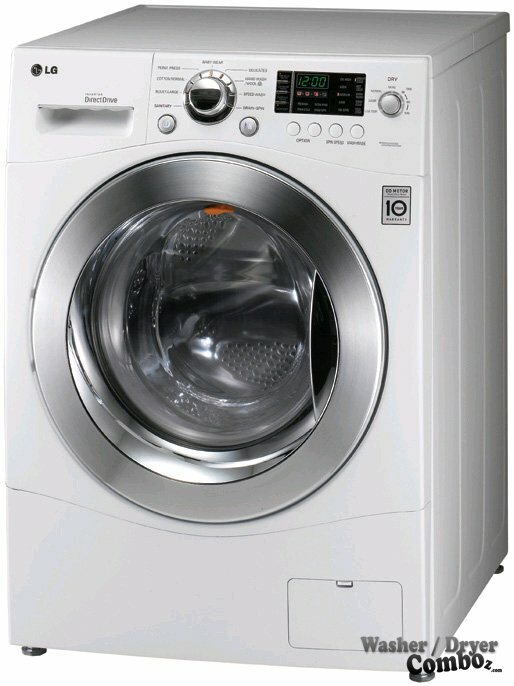 It’s successor, the model LG WM3488HW proved to be even better, check it out here – the best washer dryer combo I’d recommend to buy.